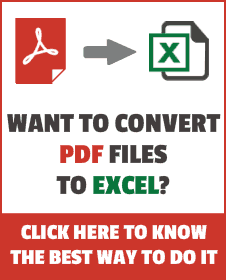 COUNTIF function can be used when you want to count the number of cells that meet a specified criteria. It returns a number that represents the number of cells that met a specified criteria in a specified range. range – the range of cells which you want to count. 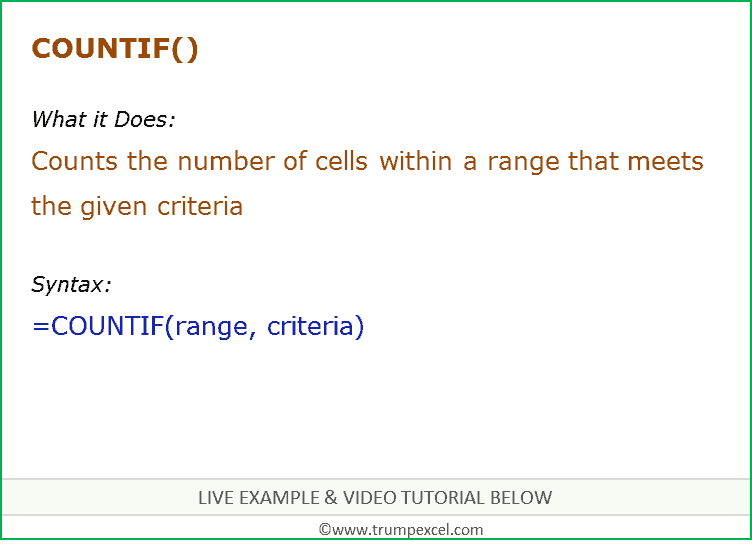 criteria – the criteria that must be evaluated against the range of cells for a cell to be counted. Criteria are case-insensitive (“Hello” and “hello” are treated as same).